Our core business consists of products and solutions within: Insulation, Fire and Acoustic Technology. New development, longer life, shorter installation time and cost savings – these are the principles that underlie our products. 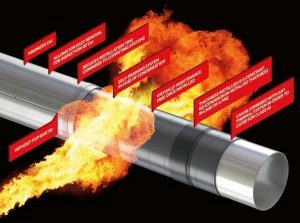 Favuseal, the ultimate fire protection! Favuseal is a unique fire protection materials, probably the thinnest fire protection materials available today. FFBS was introduced back in the late 80s. 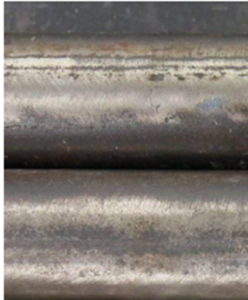 Today, a variety of oil installations around the world are protected by FFBS. Contains no halogens or fibers. Emits no toxic or corrosive fumes under fire. HC-fire and jet fire fire up to 1500° C.
How can you use Favuseal? Your imagination sets the limit! Liquid and gel detergent, effective for the removal of: calcium, magnetite, oxidization(rust), humus, salt and other deposits. 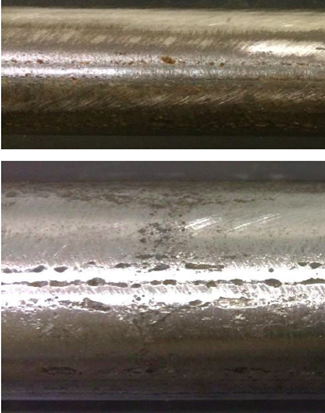 CCG prevents corrosion under insulation (CUI) and have shown remarkable test results. Insulation, Fire and Acoustic Technology. these are the principles that underlie our products. IFA Tech AS is a Norwegian company with worldwide clientele, working to provide optimal solutions and products for offshore, marine, refinery, and construction industries.